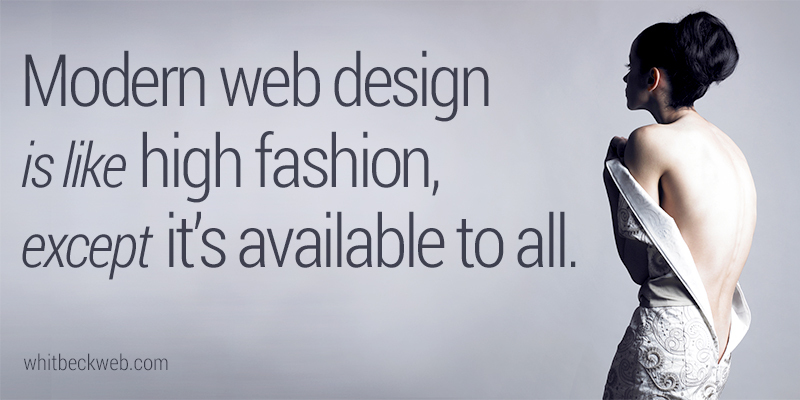 Take your website from bad … to basic … to haute couture. If you think of website design as fashion, it’s easy to imagine why you wouldn’t want to parade around Miami Vice-style in a royal blue cotton jacket with shoulder pads and rolled-up sleeves. Sure, that’s funny at a costume party, but for your business website, it’s more like a sharp poke in the eye. While modern fashion and modern website design might share some commonalities, fashion designers are hamstrung by the human form and available fabrics. There are only so many ways to make pants. However, modern web designers are working in an ever-changing environment with new tools, delivery devices, and virtual environments appearing regularly. The solution to staying current is to get a web developer who’s always learning and hang on for the ride. Form follows function for modern website design. What I mean is, layout is largely dependent on how people are accessing the web. When it comes to layout, always think of your audience first. No Auto-Play Music — Let’s face it, no one ever liked this. No Flash — It’s clunky, it crashes, it’s old technology whose day in the sun is over. No Animated Gifs — They pull the eye away from normal viewing patterns. Don’t annoy your visitors and give them a reason to hit the back button. Reliable Hosting — You want to be accessible to your visitors. Period. Good Security — If your site isn’t safe, your customers will flee. Linkable Contact Information — Be easily reachable via email, phone, or car. Once you have the basic essentials, you can customize from there. Mobile-friendly designs that are mobile-optimized or full responsive for smartphone and tablet users. 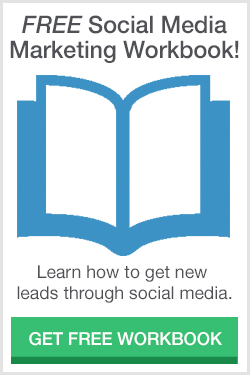 Full social media integration & shareable content to engage with customers who are social. Conversion-centered designs that make sure visitors click the link or button you want them to click. Modern web designs basically take Coco Chanel’s advice on how to focus attention. Is your website too busy? Is it clear what you want your customers to do? Are you turning viewers into customers? Modern website designs remove accessories and focus on the purpose of your site. My spouse and i ended up being so safistied that Louis could complete his investigations while using the ideas he grabbed through the web pages. It’s not at all simplistic just to be releasing information and facts that many the rest may have been selling. Therefore we acknowledge we have got you to be grateful to because of that. The entire illustrations you’ve made, the simple blog navigation, the relationships you can give support to foster it is many overwhelming, and it is making our son and us recognize that this content is fun, which is certainly incredibly pressing. Many thanks for everything!